Last week, Kevin and I were given a special treat as we attended a media preview (complimentary) of the upcoming Charles Krug Wine Dinner at Morton’s. We got to try sample portions of each course, as well as comparable wines. Additionally, Morton’s arranged a virtual tweetup with Krug winemaker Peter Mondavi Jr. The real wine dinner occurs next Wednesday night, April 21, and benefits the Make-A-Wish Foundation. Cost is $150 per person (reservations). Peter Mondavi, Jr, will be live and in person for the event, which culminates in a live auction for a beautiful, specially commissioned 27 liter bottle of Charles Krug Vintage Selection Cabernet Sauvignon, 2002. This bottle – weighing approximately 100 pounds, measuring three feet in circumference and filled with the equivalent of 36 standard bottles of wine or 180 glasses of wine – will be on display at Morton’s through the evening of the wine dinner. I’m not a food blogger, nor will I pretend to be. While I loved some of what we had, much of it ended up on Kevin’s plate due to my absolute pickiness. But I did enjoy the wine and can tell you (with a little bit of help from Kevin), that everything paired perfectly. Again, the wines we had are not necessarily the wines that will be served on Wednesday night, but they are comparable. Charles Krug Napa Valley Sauvignon Blanc 2007: Filled with pears, apricots, and grapefruit; high in acid (very citrusy), and cut nicely through the seafood. Charles Krug Carneros Chardonnay 2007: On its own, without food, I found this to be buttery and heavy. However, it paired wonderfully with the salad, which lightened it up considerably. 2004 Charles Krug Vintage Select Cabernet Sauvignon: This wine was paired with a filet, mashed potatoes, and a spinach-stuffed roasted tomato. I found a lot of roses and dark cherries on the nose. It was tannic, but it helped to clear the palate and paired perfectly with the roasted tomatoes, balancing out their acid. It’s worth noting that we had a 2004, but the night of the wine dinner, participants will enjoy wines from the 1994, 1995, and 1996 vintage. Charles Krug Zinfandel Port: We took this port and paired it with various fruits and cheeses. The port was a lot more tart when paired with raspberries, for instance, but strawberries added an additional sweetness. Kevin and I both favored the port with the cheeses, in particular the Gouda, which brought out the raspberry in the port itself. Interested in our Twitter conversation with Peter Mondavi, Jr? I captured it all and you can view the entire tweet chat after the jump. 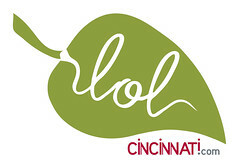 Reserve your dinner spot online or call Morton’s at (513) 621-3111. I pulled this feed from the wonderful WTHashtag. So here you go … the tweets to Peter Mondavi, Jr (winemaker at Krug) from Morton’s. Many of us submitted questions ahead of time. I submitted the questions in bold (answers are also in bold). Mortons @charleskrugwine Q13. What can fans of the Charles Krug label expect to see from you in the future? 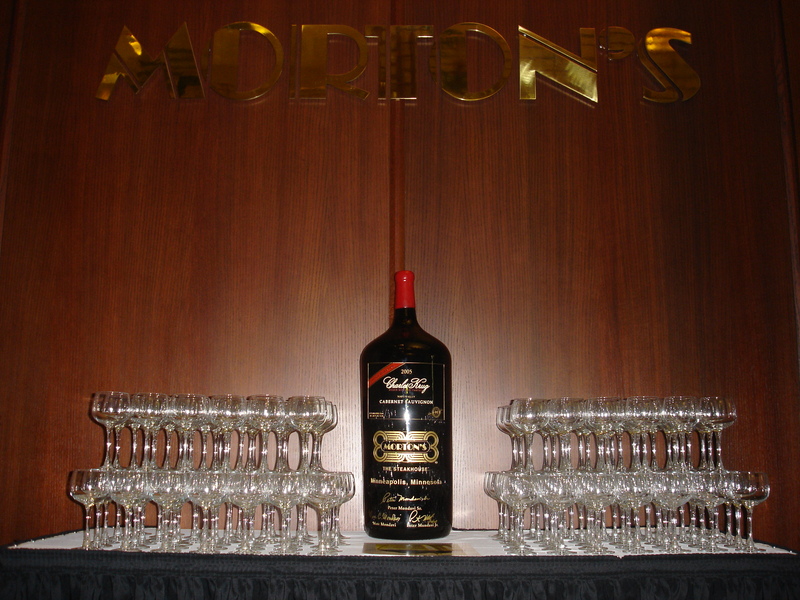 charleskrugwine:	@Mortons Enjoyed tweeting with you all this evening. Hope you enjoy some Charles Krug wines soon.